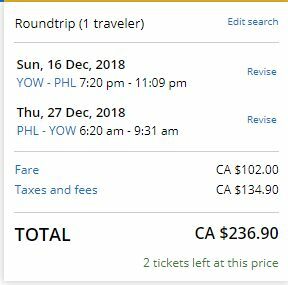 United Airlines is showing flights for travel this month from Ottawa to Philadelphia, Pennsylvania for $237 to $260 CAD roundtrip including taxes. 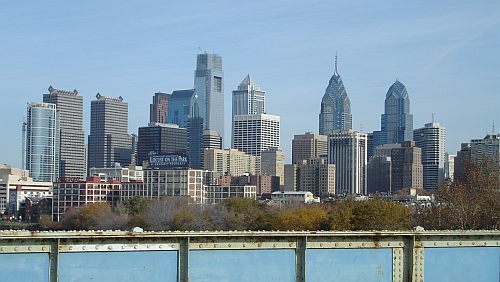 This is 54% cheaper than the typical best prices for a roundtrip flight from Ottawa to Philadelphia. The flights have 1 stop each way, in Washington, D.C. There are a few 'over Christmas' dates if you can depart by December 18th. ottawa, yow, flight deals, united states, united airlines, philadelphia, pennsylvania and north america.